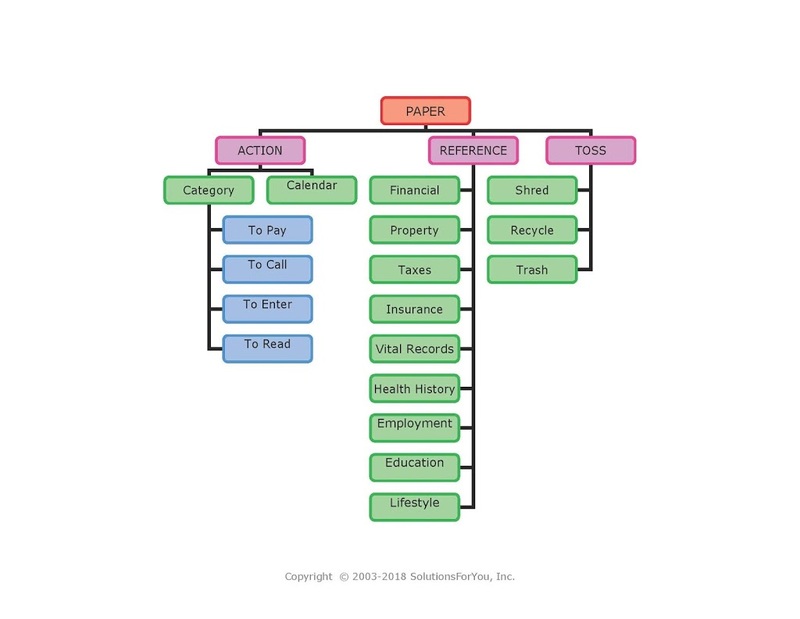 Information comes to us in many forms but most predominately in paper form. It arrives from snail mail, e-mail, children’s backpacks, spouse’s briefcases, and many other avenues. We know how we obtain paper information, it’s what we do with it after it arrives that many of us struggle with. Let’s Spring clean your paper piles on this first day of Spring! Action – It needs your action such as bills to be paid. Contain these papers in a desk-top file box or tray. Tip: select a vertical container so that it is easy to find what you need. It is also nice to have the container be portable so it can move around to where you want to work. A subcategory of Action is “To Read” – Any information that requires more than 2 minutes to read place in a separate “to read” pile. Choose functional and fun containers; one for your reading that is staying at your desk, another for by your reading chair and one for on-the-go. Tip: Schedule a repetitive time of the day or week to sit down and read and create an inviting reading spot in your home or office. Reference – You need the information for future reference. Such as home loan records. Contain in file folders within a file cabinet. Tip: Schedule a repetitive time of the month to do your filing and do something fun while filing such as listening to your favorite podcast or an audiobook. Toss – You don’t need the information on the piece of paper and you don’t need to take action on it. Such as an investment prospectus. You may discover that the deepest pile of the ART SYSTEM is the Toss pile. Shred, recycle or trash those pieces of paper. Tip: Have a shredder and recycling and trash containers near where you sort your ART papers. Do you need a visual? 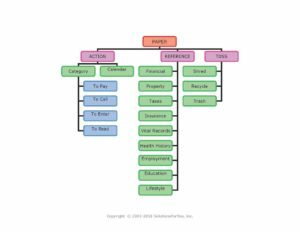 Take a look at this Paper / Information Organizational Chart, it might help you picture how to process your paper/information and where it belongs. When you are finished Spring cleaning your paper piles get outside and enjoy this glorious Spring day!